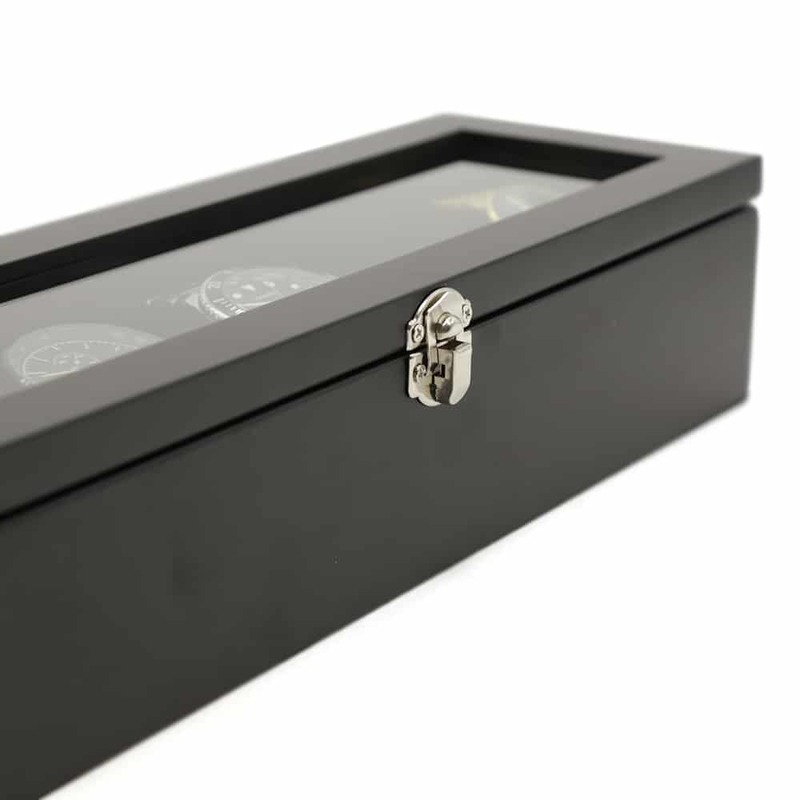 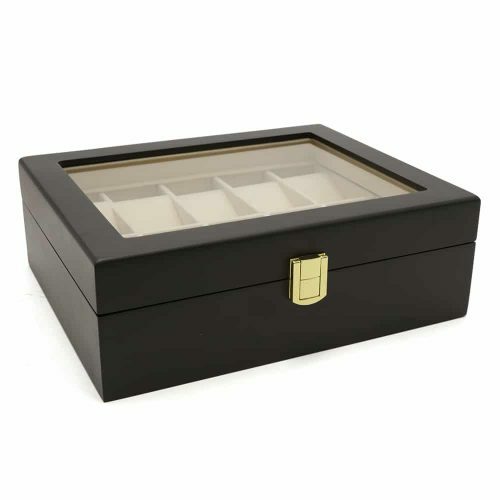 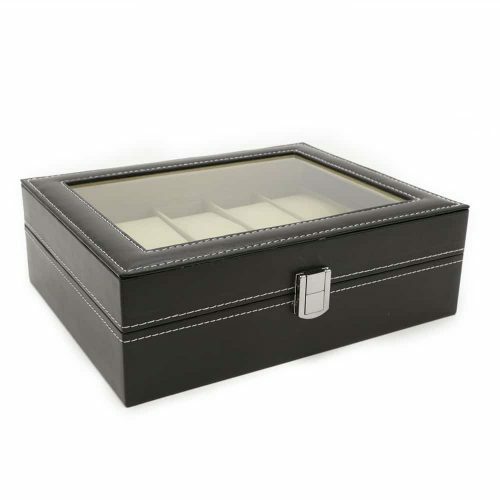 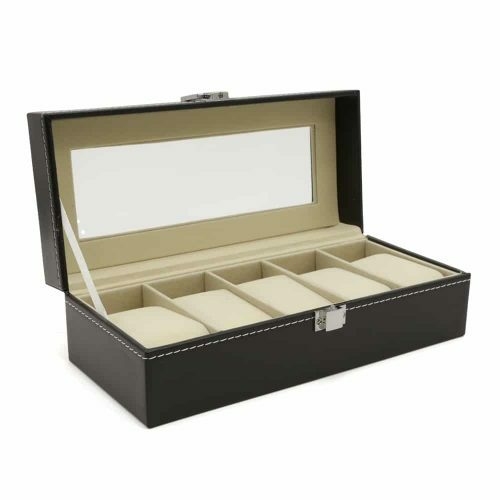 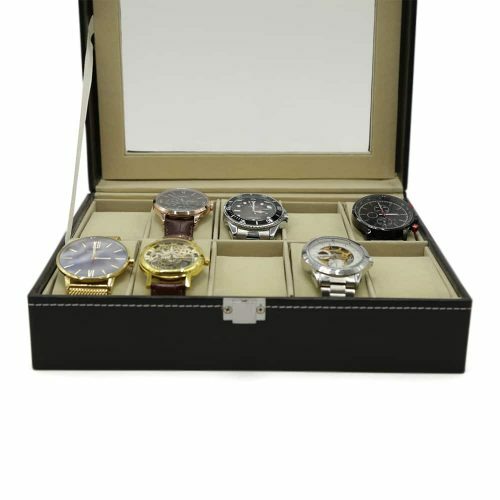 Display your watches while keeping them safe from scratches and dust with this Premium Black 5 Slot Watch Box. 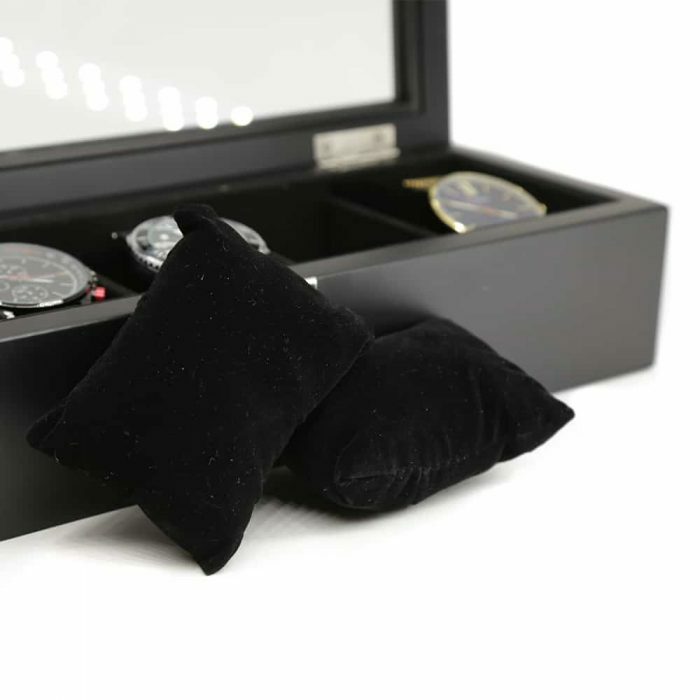 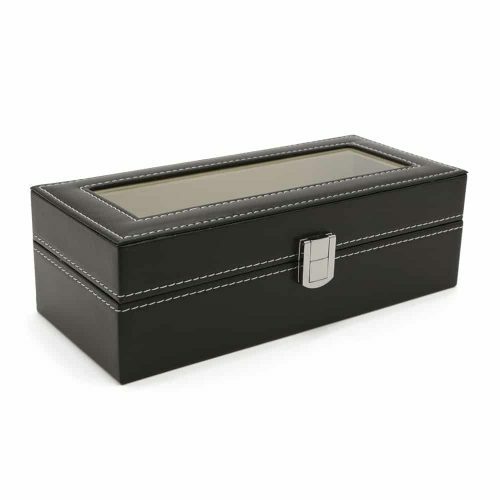 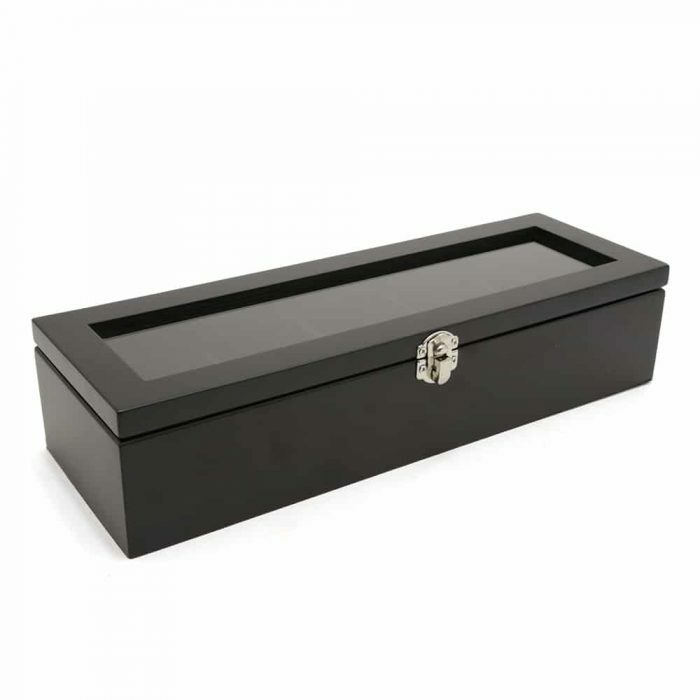 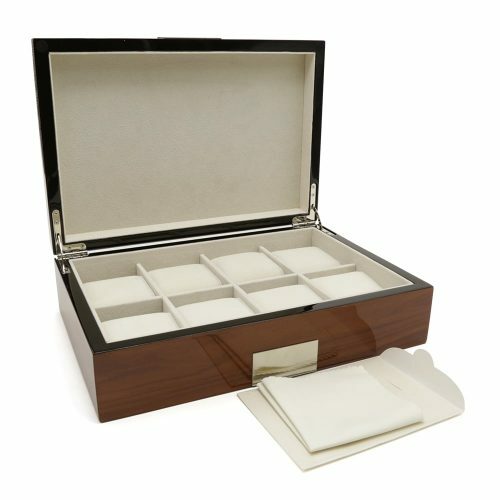 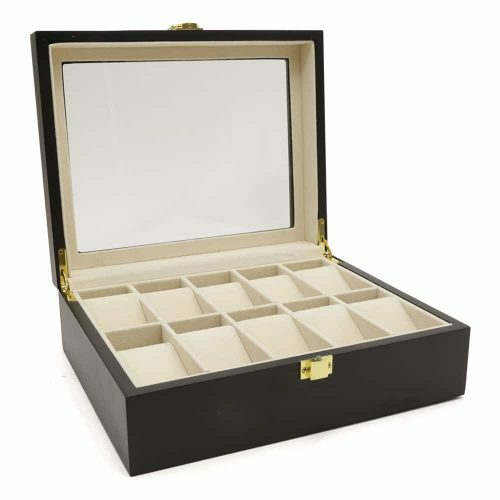 This beautiful wooden watch box comes in black with a matching velvet interior. 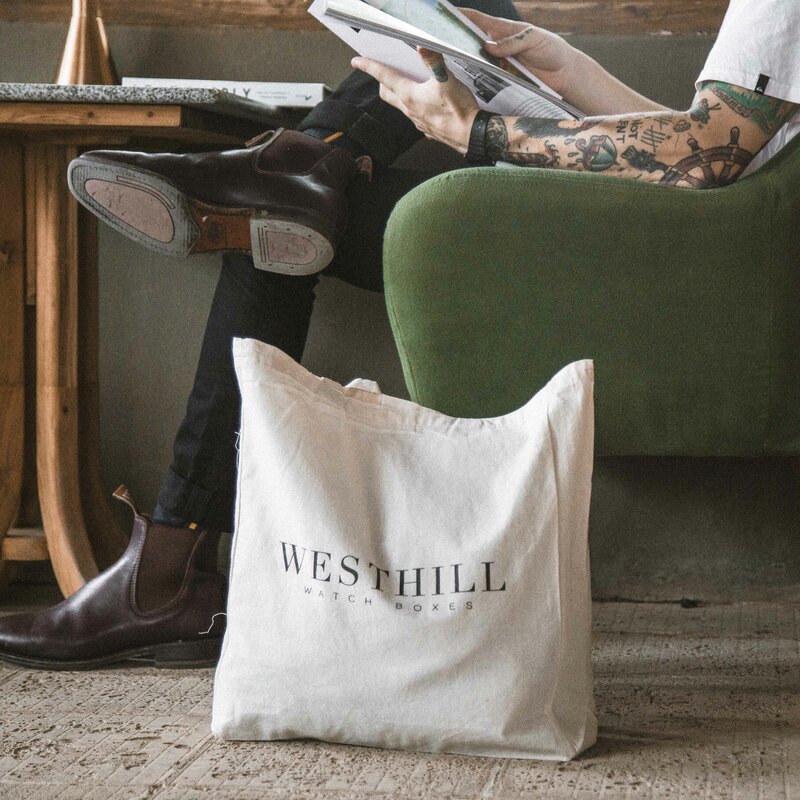 It can store up to 5 of your watches with 5 removable extra soft cushions. 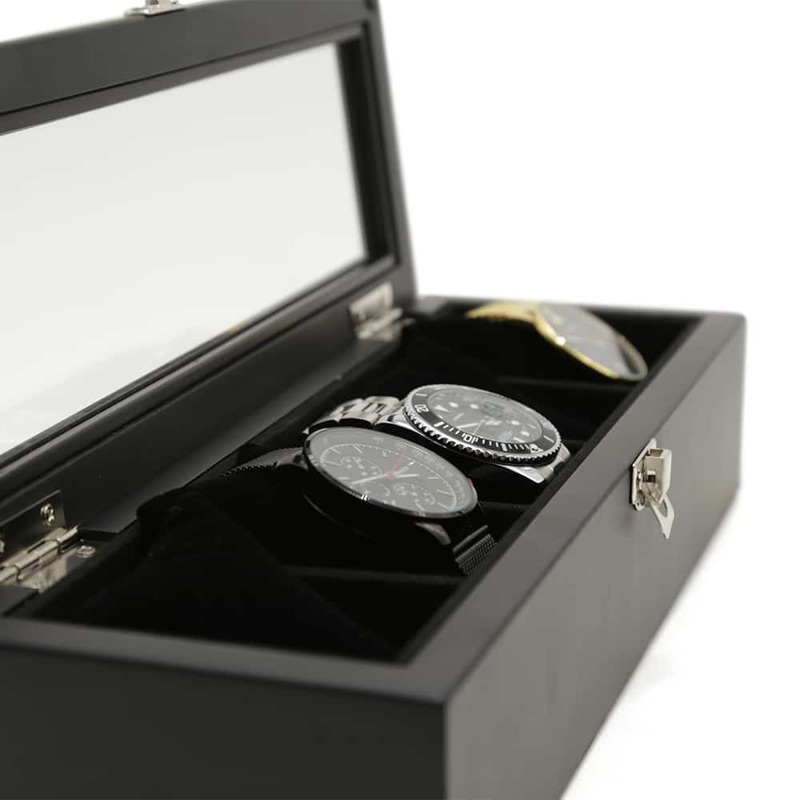 When travelling, you can close the box with the silver latch to ensure your watches don’t move around or fall out when on the go. 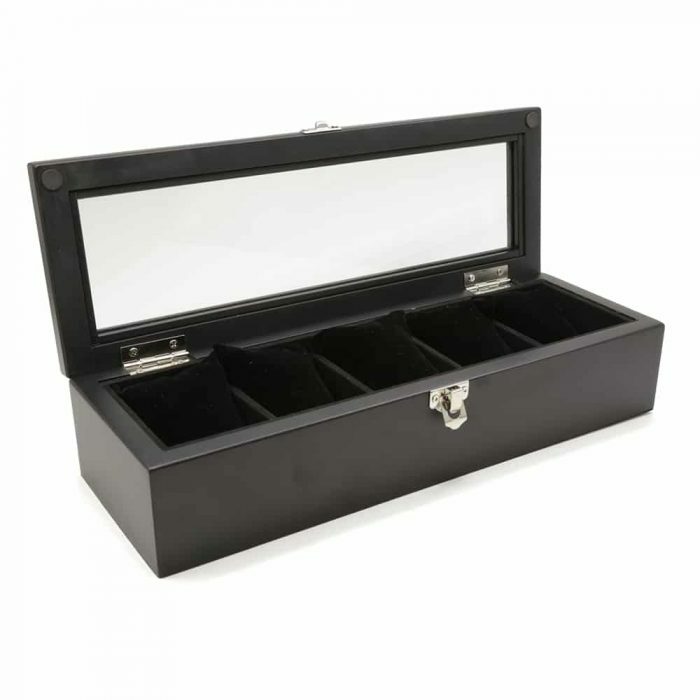 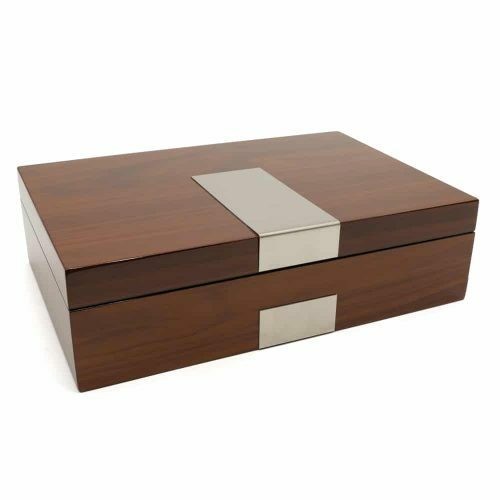 It’s elegant, secure, and it has ample storage space making it an ideal way to keep your watches safe.